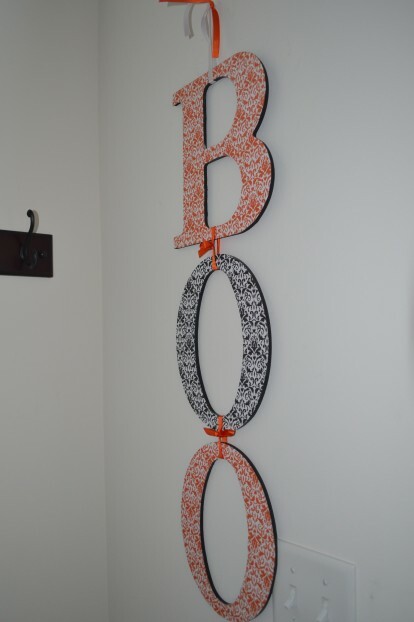 I have seen lots of pins on Pinterest featuring word decorations for the home. In the past, I usually buy some holiday decorations after the holiday because they can be so expensive! We have a small wall next to our front door that is the perfect spot to hang words for the holidays. 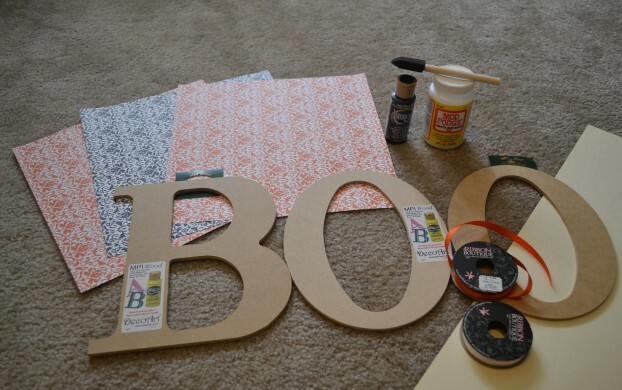 I headed up to the store to gather my supplies – this project came in under $10, and if you have scrapbooking paper and paint at home, you would just need the letters! 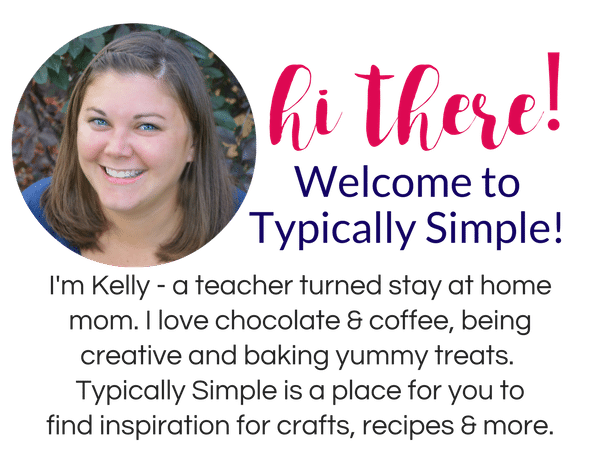 Here are some pictures and a few directions to help you get started on your own holiday word decor! After gathering your supplies, trace the letters on the scrapbook paper pages. I traced mine on the back, but you can do it on either side. If you do trace them on the back of the paper, be sure to trace the letters backwards. Next, I painted the backs and sides of each letter black. 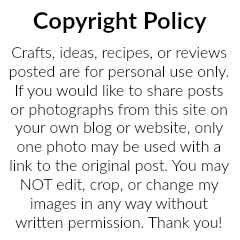 I wanted a more finished look since it would be hanging near our front door, but you could skip this step. 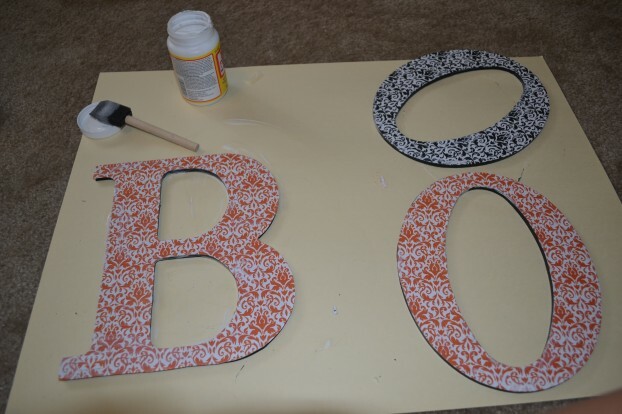 While the paint is drying, cut out your paper letters. After the paint it dried (which doesn’t take too long if you put a thin layer on), add Mod Podge to the front of your wooden letters. Carefully place the paper letter on top and add a layer of Mod Podge to the top of the paper, making sure to get the edges. I let the letters dry and put on a 2nd coat of Mod Podge – this step may not be necessary but I wanted to make sure the paper was fully adhered and protected since I planned on storing this in a plastic bin with other decorations when not in use. 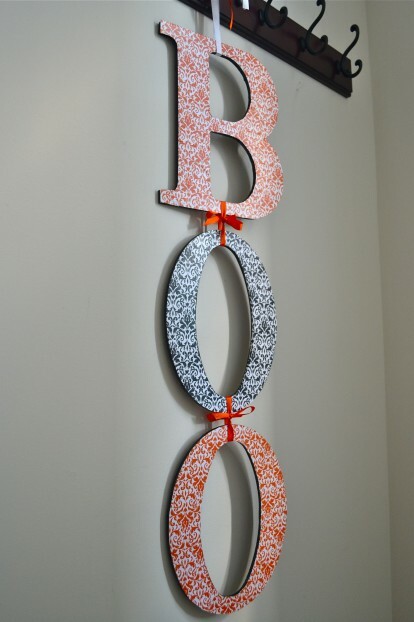 After the letters were dried, I tied them together with some orange ribbon. 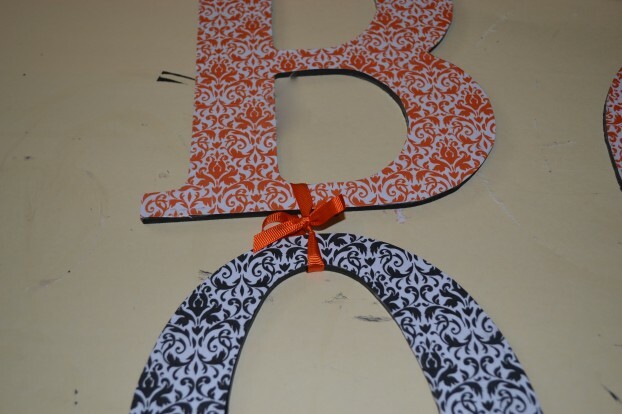 I tied some longer ribbons to the top of the B, so I could hang it on the wall. 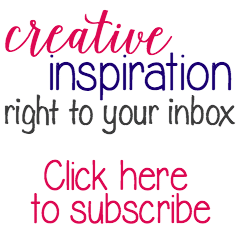 The great thing about this project is that the letters come in a variety of sizes, so it can fit the space you want to decorate. With so many paper choices, as well, you can create a decoration that fits with your current decor or themes. I think this would also look cute with some embellishments. I just got my Silhouette Cameo this week – so I might have to try cutting out some ghosts to add to this sign!